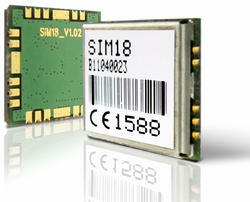 SIMCom presents an ultra compact and reliable GPS module-SIM18. This is a standalone L1 frequency GPS module in a SMT type and it is designed with SiRF4 high sensitivity navigation engine, which allows you to benefit from small dimensions and cost-effective solutions. 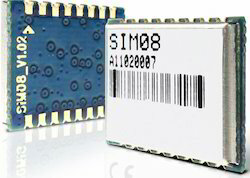 SIMCom presents a high performance host-based GPS module-SIM08, It cooperates with SIM900 module in offering best-in-class acquisition sensitivity, tracking sensitivity, Time-To-First-Fix, accuracy and ultra-low power consumption, allowing you to benefit from small dimensions and cost-effective solutions. SIMCom presents a high performance and reliable GNSS module-SIM68R. This is a standalone L1 frequency GNSS module in a SMT type with MTK’s high sensitivity navigation engine, which allows you to achieve the industry’s high levels of sensitivity, accuracy, and Time-to-First-Fix (TTFF) with lower power consumption. 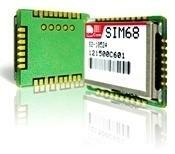 SIMCom presents a high performance GPS module accompany with GPS antenna-SIM39EA. This is a standalone L1 frequency GPS module include an embedded patch antenna on it. Designed with MTK’s high sensitivity navigation engine, it allows you to achieves the industry’s highest levels of sensitivity, accuracy, and Time-to-First-Fix (TTFF) with lowest power consumption. And with embedded antenna in SMT type, it is very easy to embed into customer’s application. SIMCom presents a high performance and reliable assisted GPS module-SIM28. This is a standalone L1 frequency GPS module in a SMT type with MTK high sensitivity navigation engine, which allows you to achieve the industry’s highest levels of sensitivity, accuracy, and Time-to-First-Fix (TTFF) with lowest power consumption. SIMCom Wireless Solutions (“SIMCom”) launched a new module SIMCom® SIM68TM. 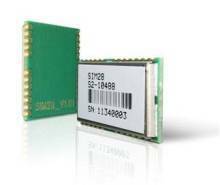 SIM68 is a GNSS module in a SMT type which can be embedded in the customer applications. SIM68 is a GNSS module compatible with GPS/Galileo/QZSS and Glonass systems in a SMT type . It is designed with ST’s high sensitivity navigation engine, which allows you to achieves high levels of sensitivity, accuracy, and Time-to-First-Fix (TTFF). Looking for SIMCOM GPS-GLONASS Module ?